Lighting-Gallery-net - Christmas Lights/Woolworths 80 light set Twinkling & Premier 20 set. Woolworths 80 light set Twinkling & Premier 20 set. 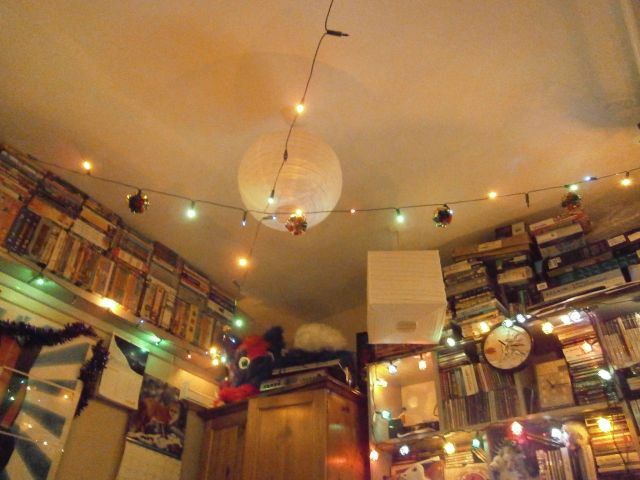 Here is how my other set of lights looks from a corner of my room the hanging ones flicker on off. Old style 70s 80s Decorations hanging from it too.